I love when Disney Pixar releases a movie poster for their new movie. I immediately run to Google and search to find out any details I can. I remember seeing the movie poster for "The Good Dinosaur" last year and time sure does fly by, because now here we are just weeks away from the release. Film Synopsis: "The Good Dinosaur" asks the question: What if the asteroid that forever changed life on Earth missed the planet completely and giant dinosaurs never became extinct? Pixar Animation Studios takes you on an epic journey into the world of dinosaurs where an Apatosaurus named Arlo (voice of Raymond Ochoa) makes an unlikely human friend. While traveling through a harsh and mysterious landscape, Arlo learns the power of confronting his fears and discovers what he is truly capable of. 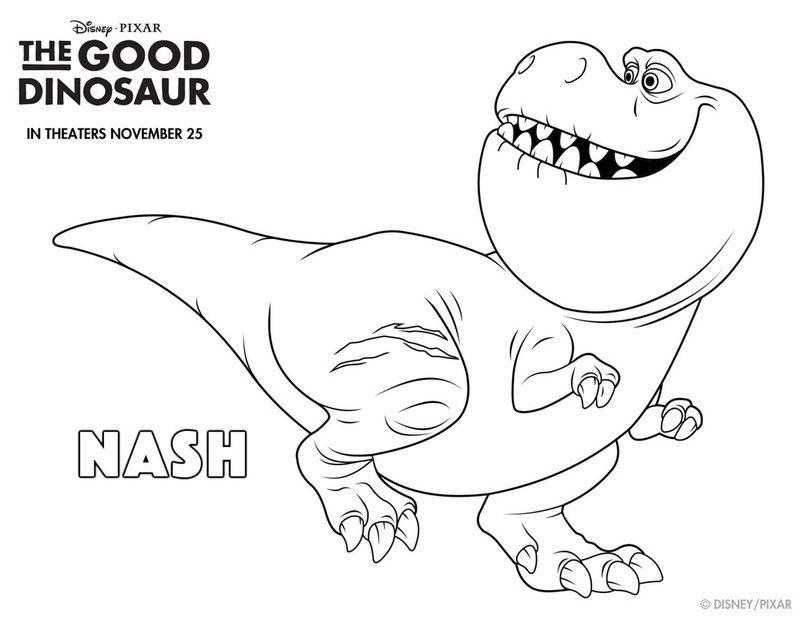 We're celebrating Dino Week this week (11/14-11/21) as we get ready for the theatrical release of Disney Pixar's newest film "The Good Dinosaur" opening everywhere on November 25th. Get your family ready with these printable activity and coloring sheets. Oh and make sure to visit #DinoWeek for more exclusive clips and activities all week long. We will be screening Disney Pixar's "The Good Dinosaur" days before the release, so stay tuned for my review.